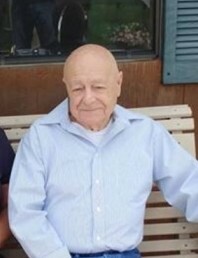 Vernon Roger Campbell, 76, of Clyde, died at Bellevue Hospital on Tuesday, August 21, 2018. "Roger" was born in Rose Hill, Virginia on January 21, 1942 to Dexter L. and Novella (Northcutt) Campbell. His family moved to Indiana prior to making their home in Clyde. Mr. Campbell worked out of the Local 18 Union Hall as an operating engineer, prior to his retirement. He enjoyed racing sprint cars with his son, Roger, and hunting with son, Monti. On December 20, 1961, he married Bonnie DeVanna. She, along with their children, Marla (John) McClain of Port Clinton, Roger Lee Campbell of Clyde and Monti (Ronda) Campbell of Clyde survive. Grandchildren, Deneil Rai Sanchez; Peagan Kohn; Ashlee Durst; Austi Chavez; Cailyn Campbell and Rogan Campbell survive as well. Two brothers, John Campbell; Ronnie (Judy) Campbell all of Clyde , sisters, Linda (Jim) Click, of Clyde; Karen (Dale) White of Florida and Tina Deck of Fremont also survive. Five great grandchildren survive. Roger was preceded in death by his parents and a sister, Margie Campbell. Visitation will be on Monday, August 27, 2018 from 11:00 am until the service at 1:00 at Mitchell-Auxter Funeral Home, 218 South Main St., Clyde, Ohio. Burial will be in McPherson Cemetery. Memorials may be made to St. Jude's Children Hospital.